Christmas can be so expensive. Presents, food, and other fun can really add up! Not to mention if you’re traveling for the holidays. One area you can easily spend upwards of $100-200 for a family of 4 is stocking stuffers. I’ve seen store advertise $20 DVDs as “the perfect stocking stuffer”. Ugh – NO IT’s NOT! That needs to be wrapped and placed under the tree with the other presents! I have a maximum of $5 per stocking stuffer but really try to stay under that if I can. If you don’t know yet, we (the hubs and I) are always trying to save money on “stuff”. We would prefer to spend our money on memories, activities, and vacations – not items that sit around collecting dust. So this year I went to the Dollar Tree for stocking stuffers and in years past I have also used the 99c Only Store. You can even view the Dollar Tree catalog and weekly ad online! Below are dollar stocking stuffers I found for all members of the family. If you haven’t wrapped up your Christmas shopping yet (I love puns!) then head to a dollar store near you and stuff some stockings on the cheap! You might be under the Impression that there is no way you could fill a stocking up for your husband or even older teenage son at a dollar store. Well I’m here to prove you wrong. Above are a few of the items I purchased for my husband and brother-in-law for their stockings this year. Below is a list of items you can get for a dollar each! If you buy all 10 items you could fill a stocking for $10 and they would still have a stuffed stocking and you would still have money in the bank! There are a lot of different options for dollar stocking stuffers for the ladies in your life at the dollar store! I was pretty satisfied with my loot (above) and really had a ton of options to choose from. You could easily purchase more items than you need when dollar stocking stuffer shopping for women. Here are 16 items you can get for your mom, sister, daughter, or friends all for only $1 each! I don’t have any babies to buy for this year so I don’t have an awesome picture to share. But they have a whole section in the Dollar Tree near me with baby supplies. Putting together a stocking gift “bag” for a family in need this year could be a great way to give this holiday season because many of the items are ones that get used every day such as wipes and wash cloths. These aren’t always off-brand options either. I’ve gotten Pampers wipes in a 20 count pack for a buck. This is a great travel size wipe container. The gifts below could be given to pretty much anyone. Depending on their interests and lifestyles. I grabbed some candy – what’s a stocking without candy? – and a few odds and ends to round out the stockings I’m stuffing this year. Would anything on this list be useful for you? If necessary, you can also buy the stocking! Plus they have plenty of cost-effective wrapping paper supplies. Why spend lots of money on wrapping paper that is going to be torn to shreds in a matter of minutes on Christmas morning? They have disposable bake-ware to make clean-up easier and paper plates, napkins, and plastic cups to reduce your dish washing needs/water bill over Christmas as well. There are even some really cute ornaments and other Christmas decor available! Check out this post on organizing your holiday decor and wrapping supplies to make sure you stay organized and clutter-free this year. There is really no reason to over spend during the holiday season. I hope you enjoyed these money-saving tips for dollar stocking stuffers. If you’d like some tips for buying clothing on a budget check out this post. You might add some budget friendly yet stylish clothing items under the tree. Feel free to comment your favorite dollar stocking stuffers below. Don’t forget to sign up for the Newsletter to obtain more frugal living, money-saving, and other budget conscious tips. Merry Christmas and Happy New Year! Although theme, style, and curb appeal are definitely things to consider, making your dream home functional is arguably the most important part of planning. All the bells and whistles are meaningless if you can’t use them to make your life easier. I compiled this list for those planning their dream home but also for those who already live in their dream home but could use a little more function in their current space. You can turn all of the must haves into functional spaces with the ideas below. Don’t forget to complete the add on with a built in outlet to plug the iron into. A friend of ours has this and says they love it! Who want to trek back and forth to the laundry room or try and find space to set up the iron board some where else inconvenient? A built in ironing board set-up is definitely a functional addition to any home. If it won’t fit in the closet you can also add one to the laundry room and finally get rid of the collapsible space stealing ones! Measure and remeasure space you want for walk ways in areas such at your kitchen, pantry, and closet. Adding a foot to walk-in closet could mean the difference in fitting between your clothing racks or not! A foot in the kitchen could mean having this dishwasher and the cabinets across from it open at the same time for unloading dishes. I’ve been in plenty of closets that look like they have a lot of space only to find that you can’t use all the bars because they overlap or the clothes would touch. Make sure your home is functional by planning for enough space. A produce sink in the island can really give a custom feel to a kitchen. They don’t take up much counter space and it can be a great way to keep germs away from your healthy snacks. You can easily keep your prep areas and clean-up areas separate in your kitchen this way. For a functional kitchen to work like a well-oiled machine it’s important to have separate spaces for prep, cooking, and clean-up. If you are going to have a home office or study. Adding a closet will help it sell in the future because it can be easily converted into a bedroom. The people who purchase your house in the future may have more kids than you. Fun fact: any room with a closet can be considered a bedroom! So plan ahead and put a closet in there. You can use it as a storage space for files, extra office supplies, or really any item that needs a home. Then when you are ready to move it will help your house sell for more money. First of all window seats are so adorable! Secondly, they make a great way to add extra functional storage space. These can be added into your plan early on if you are building or you can create your own after the fact or for remodels. Consider which rooms need bathtubs, showers, or both. Our guest sweet will be a shower only. We believe that’s a good match because our family and friends that visit are most likely not going to be soaking in our tubs. Also, our parents are getting older and a walk in shower meets their needs much better. Our other spare room (which one day will become a nursery) requires a bathtub for future kiddos. So we still have the options and everyone’s needs (either present or future) can be met in the safest and best functional ways. You don’t have to plan the entire space until after your house is built. You can always build something with the space you already have as well. Consider future additions you may want to add: pizza oven, outdoor sink, or mini fridge. Of course to make it even more functional you will need outdoor seating as well. We almost forgot about this as we were designing our backyard because we’ve never had an outdoor entertaining space before. We figured we still need to plan to have a grill since we will have a pool and be spending much more time outside at our dream home. A built in AV nook may be a great option for you. The hubs wants to wire for speakers throughout the house and found the perfect little niche on our plans to put the AV equipment. He has such a good eye. Also, wiring ahead is way cheaper than going back in after the fact. Being able to hear the game on TV while in the kitchen can make a world of difference for house parties or other events. In the master and children’s bathrooms at a minimum. My granny had a built in hamper in her bathroom. It makes perfect sense – I don’t know why more people don’t do this! Laundry baskets are an eye sore and don’t do much to keep the dirty clothes out of sight or wrangled. A built-in hamper can keep the clothes all in one spot when you are ready to make the rounds with the laundry basket. Out of all the tips on this page I believe this to be one of the most functional as both a way of organizing and keeping the house clean. If you already live in your dream home and wish this was an option for you – your wishes have been granted. Check out these plans for a DIY closet hamper.. Many space in your home can utilize a private entrance. A home office, guest suite, and pool bathroom could all function better with their own door. These will allow more privacy for your home and for your visitors. Plus it will help with keeping the house clean (less people/opportunities to bring in dirt and such). Consider a bigger laundry room than you think you need. My husband swears I need a crafting space in our laundry room. I think he has forgotten who he’s married to because I am not that crafty. However, every year we make at least 1 or 2 homemade gifts with the kids for Christmas. Plus I think he also remembers the mess I tend to create when I do get that crafty buzz going. My bonus daughters are going to have school projects to complete and crafts that will need places to dry so we opted for a few extra square feet to keep it out of the way and organized. He really does have great ideas y’all! And he appears to know me better than I know myself! A functional space for sewing, crafts, hobbies, and even gift wrapping can definitely be useful. Most homes either have a pantry entry close to the garage or inside the kitchen. We decided to go with both. We figure the least amount of effort it takes to do something the more likely it is to be done (and the quicker). With both doors unloading groceries and cooking both become more efficient and functional. Some call it laziness. I call it genius. Our pantry will have a garage entrance and a kitchen entrance to make it as functional as possible. Mudrooms are becoming a vital addition to new builds and many current homes are being remodeled to include one. Visit my Ultimate Guide to Creating the Perfect Mudroom for the most comprehensive list of ideas, suggestions, and more. Mudrooms are functional spaces by providing space to keep shoes, backpacks, sporting equipment, coast/jackets, and other daily necessities organized and out of the way. What was your favorite functional dream home idea? Do you have another option you would add to the list? Leave a comment below if so! Don’t forget to sign-up for my newsletter before you leave. Your story is probably different from ours – I would love to hear about it in the comments below! I am sharing our story in the hopes that it helps others along the journey to finding their dream home.The decision to build our dream home didn’t come lightly. When we initially starting planning for our dream home we discussed building and even looked into the cost of land, what types of lots were available, and other information pertinent to deciding to build. My husband and I had always wanted to build but something always prevented it such as: we couldn’t afford it, couldn’t find land to build on, etc. So in the beginning we decided that buying our dream home-made more sense and was preferable to building. Building would mean an additional year of living 1 hour away from work (for me), at least another year before we could consider adding to our family, and a whole lot of time and effort spent planning the home. Buying just seemed easier, quicker, and more logical. Buying a prebuilt dream home just was not meant to be for us. When our apartment lease was about to be up after our first year in Arizona we went looking for houses. I would guess we visited around 20 houses before changing our minds on what we were looking for. We even put an offer on one we really loved! The offer was not accepted by the owners; which was ultimately a blessing in disguise. After the offer fell through we decided to purchase a smaller, less expensive house we could turn into a rental later. This was one of the best decisions we ever made! Our rental was a perfect little “starter’ home and we were able to save additional money to put towards the real home of our dreams. After our rental we ended up purchasing a house to flip that we moved into. This house is one hour (or often times longer) away from my work location. Initially the plan was to only stay here for 6-12 months. Here we are 2 years later – still in the same flip house. About 16 months in to living in our current house we started looking for our dream home. We searched and searched for 6 months for the house of our dreams. We spent numerous weekends looking at houses, going to open houses, and just driving different neighborhoods. After many unsuccessful hours spent trying to find our dream home we decided again to try looking into building and search for lots instead. The first day we looked at lots for building we found where our new home was going to be built! Everything fell into place and we knew we could follow our dreams of building. It was like a big shout from God telling us to BUILD our dream home. It only took a few prayers and a couple of serious discussions to determine this was the best choice for us! During our discussion we came up with the reasons below for building our dream home and they’re how we knew building was the best choice for us. To be completely transparent, some of our reasons are linked directly with my husband’s job. He is a general contractor so our budget for buying and building were very similar (although building was still slightly more expensive due to the cost of land in AZ). Also, secondary to that he can use our custom-built home as an example in his portfolio in the future. However, while these played a role in our decision, they were not in the top 5 biggest reasons we decided to build instead of buy. Of course your spouse doesn’t have to be a contractor to build your dream home! You can still decided to build instead of buy for the 5 reasons I’ve listed below. Have you been looking for your dream home with no success? Do you feel as if you have looked into every possible resource for buying a home and have still come up empty-handed? Building might be a good option for you if that’s the case! You may find several houses that you could settle for; but your dream home is hopefully a place you’ll live in for decades. No one wants to settle for 30 years! We couldn’t find our dream home without additional issues or things we didn’t like. I was starting to become frustrated and feeling defeated. We looked a several houses that seemed to fit the picture of what we wanted but they each had something that either concerned us (such as needing a new $30k roof), annoyed us (why were sunken living rooms ever a thing? It’s like you’re asking to be tripped in your own home), or lacked our “must haves”. Ultimately we couldn’t find a house we loved and wanted to make our forever home even though we searched for 6 months. We did find a ton of great ideas that we wanted to incorporate into our dream home; click here to learn how to find awesome ideas for your dream home too. A dream home should have all of your Must Haves. You want 6 bedrooms – it needs 6 bedrooms. You want a porch for a swing to sit on and read – it needs that porch! Your Must Haves can be a long list or a short list. They are personal and completely up to you. But your dream home should have each and every one or at least a way to create them if possible. We are being very picky about our dream home. We want everything on our “must haves” list. Sacrificing something just because someone else didn’t think of it when they built their home just wasn’t okay with us. Planning our forever home has been a year process of discussing, searching, and defining our dreams. Instead of narrowing down our desires this has increased them and caused them to be deeply rooted. We have big plans for our home. We want it to be able to meet our needs now and wants for the future. Our plans for our dream home include: enough space for out-of-state family to visit, a pool to keep us cool during Arizona summers and entertain guests, and the most amazing walk-in shower we can dream of in our master bath. Prebuilt homes didn’t leave room for our imagination to come to fruition. Some people love to remodel or have house projects. If you are that type of person then you may be able to purchase a home that needs work and turn it into your dream home. This can be a great strategy for those looking to save some money up front. Just be realistic about the remodeling projects and what they might cost. Not only in terms of money but in time as well. Several home we looked at needed work done or would have to be remodeled to meet our Must Haves. We didn’t want to remodel. Even though My husband’s business would allow us to remodel anything we wanted. We both decided we really aren’t up for redoing a house after moving in. I’m really looking forward to decorating considering I haven’t even hung up a picture in 2 years. But didn’t want to have to deal with a bunch of remodeling projects. We also learned that some houses just can’t be turned into what you want after spending an hour trying to figure out how we would put pantry in a house that had everything else on our Must Haves list. (Trust me, it wouldn’t have fit. We desperately wanted it to). So if you do plan to purchase a fixer upper, spend some time in the house to make sure your dreams can be turned into reality before signing on the dotted line. Building a house takes time. The building process – from breaking ground to moving in – typically takes 9-16 months on average depending if it’s a custom build or a production build. But that doesn’t include the time it takes to find a general contractor and architect, picking out or creating plans, having surveys completed, and all the other things that come prior to being able to break ground. Plus once your plans are complete but before you can break ground they have to be approved by the city or county you plan to build in. Basically its a lengthy process and you need extra time if you plan to build. We have time. Although I would love to be closer to work (my 1 hour each way commute means I spend 8+ hours a week driving in 4 days) and I would love to have a functional yard. We aren’t in a rush. Our current home has all the necessities but not all our wants. And if spending another year here means getting all the dreams in our dream home I okay with it. Plus I’m used to sacrificing to reach my goals. Before deciding to build your dream home make sure you have the extra time before you need or have to move into it. Also, consider the extra time it takes to create plans and pick out paint, flooring, windows, cabinetry, etc. That is also extra hours you will have to be able to devote to planning your dream home. It is important to look at the cost of building versus buying in your area. Land costs vary widely across the U.S. The cost per square foot of a build versus buying prebuilt also differs around the nation. You will want to cost compare and determine what works best for your budget or which you can afford. Sometimes, you may be able to afford either and the other 4 reasons may end up holding more weight for your decision. It’s important to look at the big picture and the long-term outcome of your build or buy decision. As I mentioned earlier, we knew we could build our dream without increasing our budget too much so the finances were a smaller part of our decision. Then the more we discussed it the more and more building made sense for us. But everyone’s outcome will be personal. A helpful way to discuss whether you want to build or buy is creating a pros and cons list. Many people are familiar with this concept. I would encourage you to take it one step farther and score your pros and cons on an importance scale of 1 (low importance)-5 (high importance). Each items gets a score. You then add up the pros and cons and see which list has the higher number. This can help put your pros and cons into perspective. Here is another post on 5 questions to ask yourself before deciding to build that can also assist with your decision making! 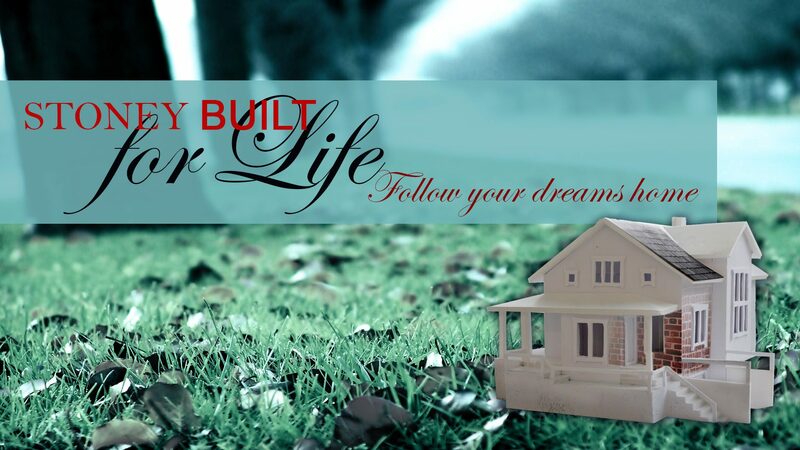 I wish you the best on building your dream home. Please share any additional reasons you found to build your dream home in the comments below! Don’t forget to sign up for my newsletter for more home building tips, organizing hacks, home decor advice, and more!